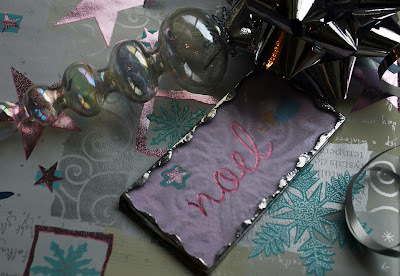 The first weekend of December the ladies from Book Art Babes held a fun two day workshop. Here is one of the four books taught that weekend, the Star Book. Once I got past the tiny bit of math involved the process was rather straight forward. 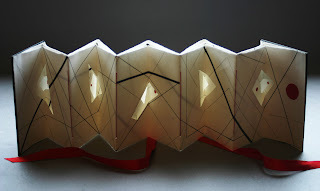 I look forward to making more of these accordion style books. I already have an idea or two rattling around in my head. 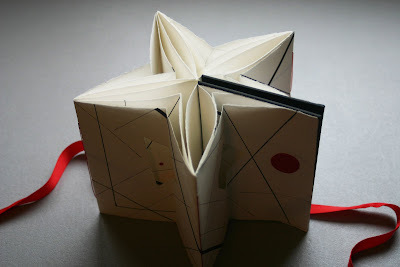 I just love how graphic and sculptural this little book can be. 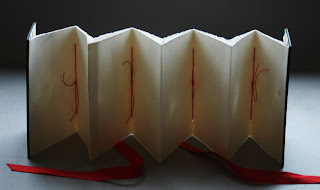 Closed the book measures just 4.25 x 6.25 x.75 inches but open it stretches up to 2.5 feet. this gift looks almost as special as the individual it is for. 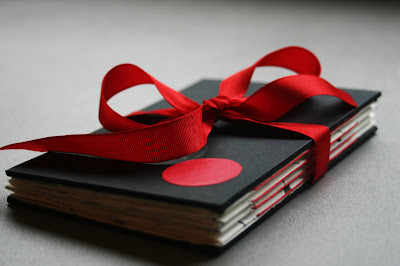 A special gift deserves as special tag. As I am wrapping a few gifts for family and friends I decided to reach for the ornaments I had finished just in time for the Pearl Brewery Artist Market. 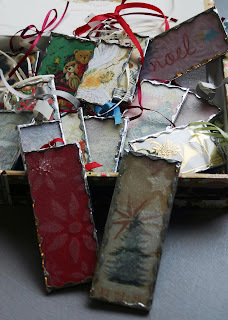 Although they sold well, I inevitable still have a few just perfect for that special gift. Once the gift is unwrapped this lovely little ornament can continue a long life year after year on the Christmas Tree. Made with the glass from picture frames, after a light application of glass powder in the kiln, they were put together using very traditional stain glass techniques of copper foil/solder. 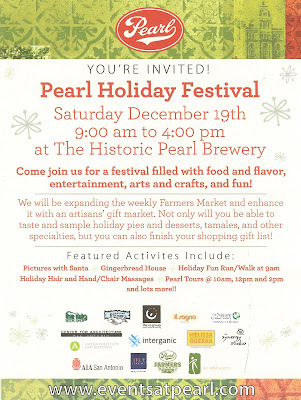 I'll be downtown this Saturday from 9:00AM to 4:00PM, with Nina "Sam" Hibler from Dream Fire Glass, at the Historic Pearl Brewery's Holiday Festival. They are expanding their weekly farmer's market to include a gift market with local artisans and many exciting activities. This event provides the chance to see live glass blowing demonstrations. Larry West will be on hand with his mobile glass blowing unit. Sam and I will also have educational videos which demonstrate the processes used in the creation of some the items available for sale. Throw in a chance to see Santa and lots of holiday events and this should be fun for the whole family.